As teams like Mercedes GP, Ferrari and McLaren F1 are taking the wraps off their competition machines, there are still a few organizations rushing through their final full-month of preparation for the 2010 Formula 1 season. The Renault F1 Team remained as one of the only returning Grand Prix teams yet to confirm drivers for both vehicles. Signing former BMW Sauber driver Robert Kubica before the end of the 2009 Formula 1 season, the Renault F1 Team waited until the 31st of January to add Kubica's teammate. 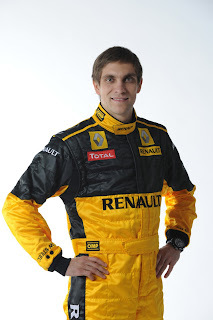 Alongside the Polish driver, Renault has committed to F1 rookie Vitaly Petrov to pair with Kubica. Making his first big mark in the Russian Lada Revolution Championship, Petrov won pole in every round in 2004 and the overall championship in 2005. His latest accomplishments have been some standout runs made in GP2 races for both the European and Asia series. The 26 year old Petrov's young career is highlighted last season by a runner-up spot in the major GP2 championship behind Nico Hülkenberg (Hulkenberg has been signed to drive for Williams F1 through 2010). 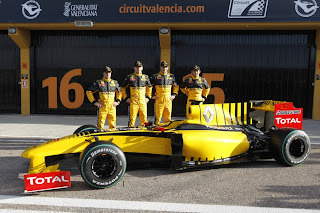 Petrov's addition comes on the team's introduction of the Renault R30 race car in Valencia, Spain. A rookie set become the first Russian driver to compete on the full 2010 Formula 1 schedule, Vitaly Petrov name was no stranger to Grand Prix insiders. At the end of 2009, Petrov was highly rumoured to be behind the wheel of a race car belonging to Formula 1 newcomer Campos Meta. A changing attitude with Dale Earnhardt Jr? Images posted on XSL Speed Reporter are property site's creator unless specified otherwise. Use is prohibited unless provided with permission.